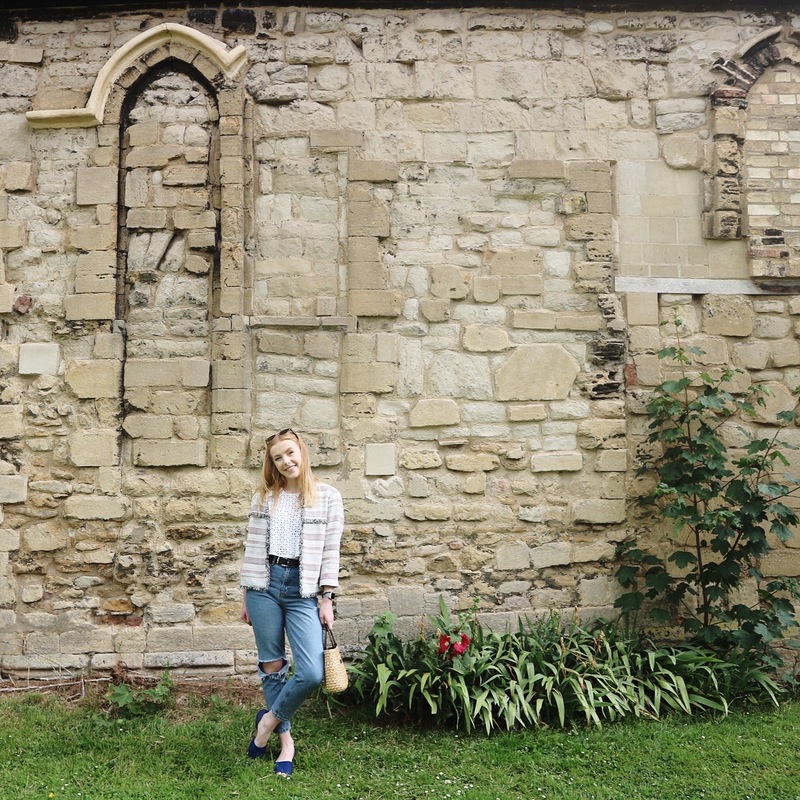 Today's post is a simple outfit post of what I wore to 'brunch' the other day. I have to admit that I have to thank my mum for half of this outfit which I'm a lil' obsessed with, seeing as when clearing out her wardrobe I took the shoes, bag and jacket (which are to dieee for). The cute jacket is a tad oversized but I'm very much into that, I was also eyeing up a jacket very similar to this from Zara so when my mum was going to get rid of this one I had to take it. 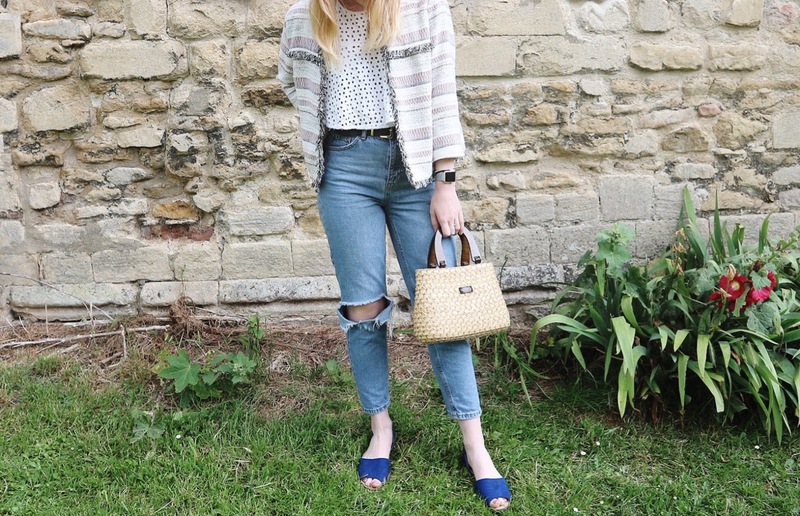 The top I'm wearing which is from Zara isn't available anymore as it's from last summer but continues to be a summer staple in my wardrobe. 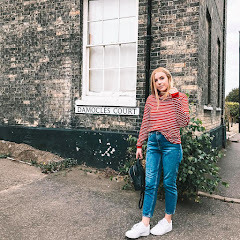 My Mom jeans are from Topshop and are one of my go to pairs of jeans, and the rip in the knee makes them a bit more casual to go with the smarter jacket. The bag I honestly do not know where it came from seeing as it was my mums and she bought it for a 50's weekend away but I love it. My shoes are simple blue pumps from F&F and to be honest aren't the comfiest but I love the blue with the pinks in the jacket.